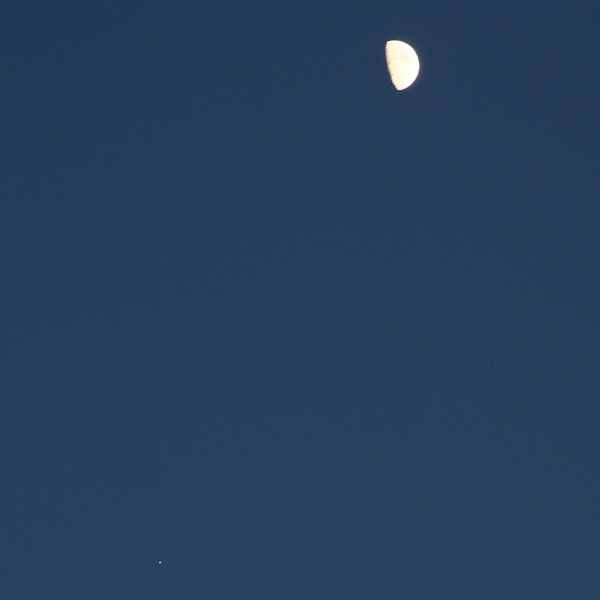 As the sun was starting to set this evening, I thought I’d quickly pop out and take a photo of the Moon and Jupiter next to each other. Jupiter is the few pixels of light in the bottom-left of this photograph. While I was out there I was also on the lookout for Venus – which is a little more tricky to spot so early in the evening, but once you see it it pops right out at you. 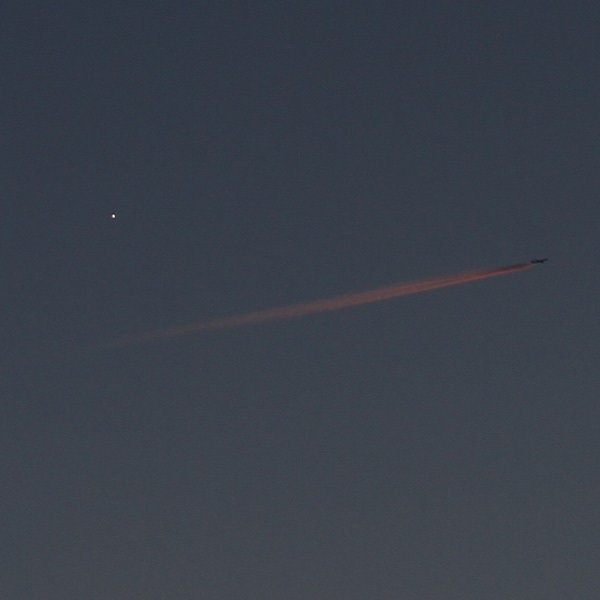 Here’s a photograph of Venus with an aircraft flying under it. There’s no way I can get any detail from Venus with just my camera, but it’s a nice sight to behold at sunset. 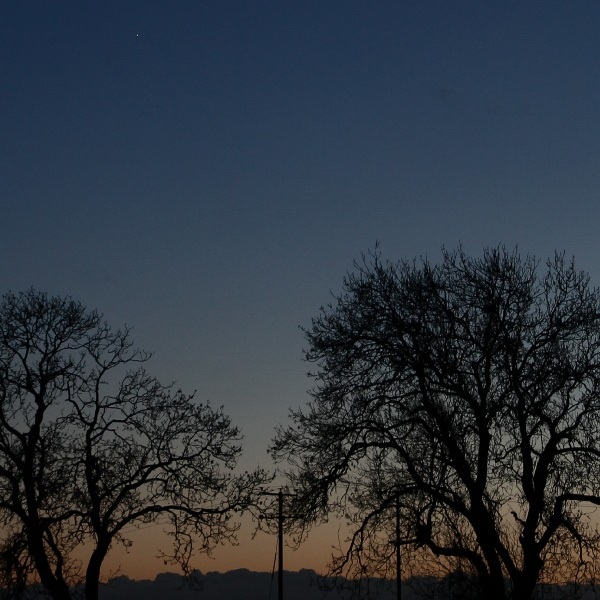 Venus is the couple of pixels of light in the top-left of this photograph.